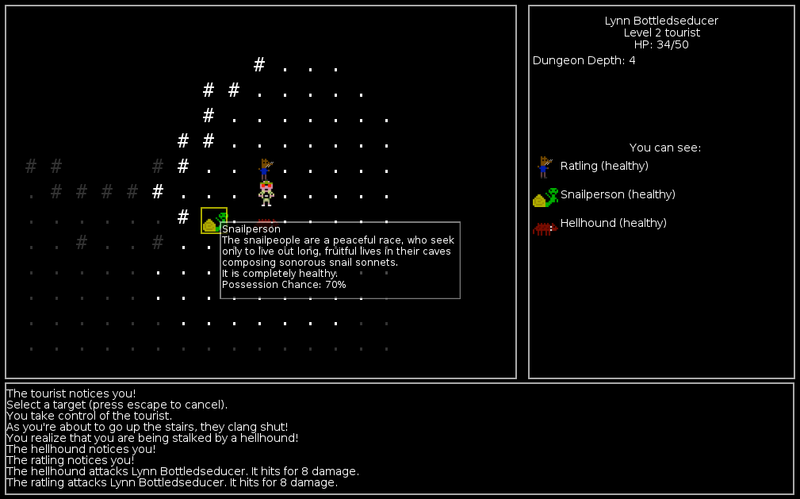 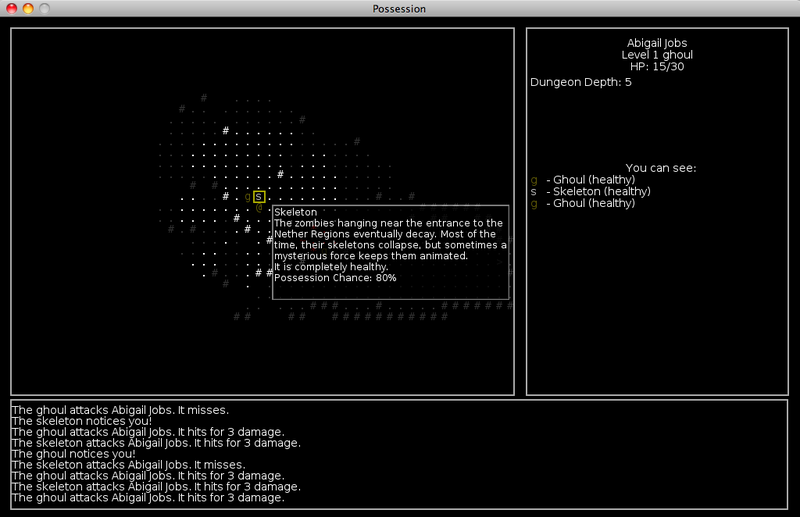 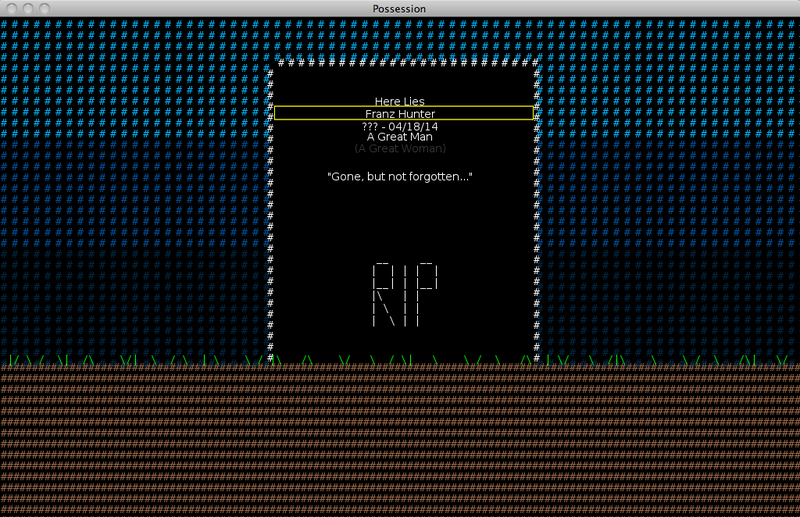 My entry into the 2013 7-Day Roguelike Challenge. 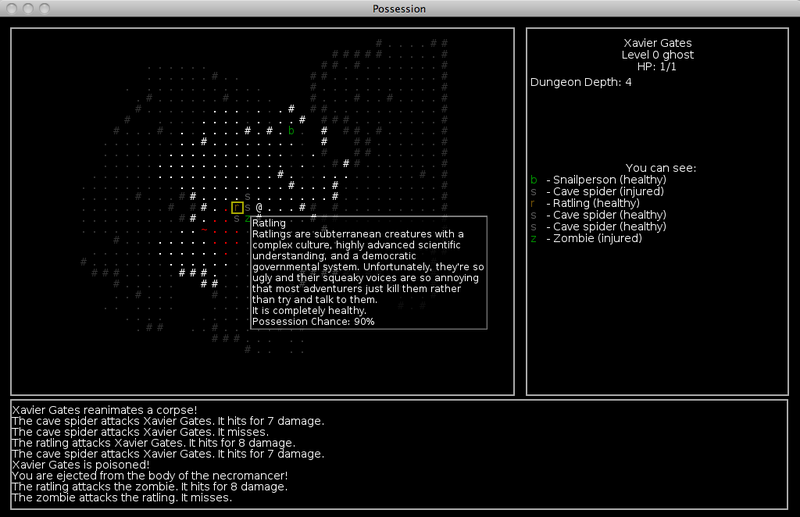 You play as a ghost escaped from the Nether Regions, trying to make your way to the surface. 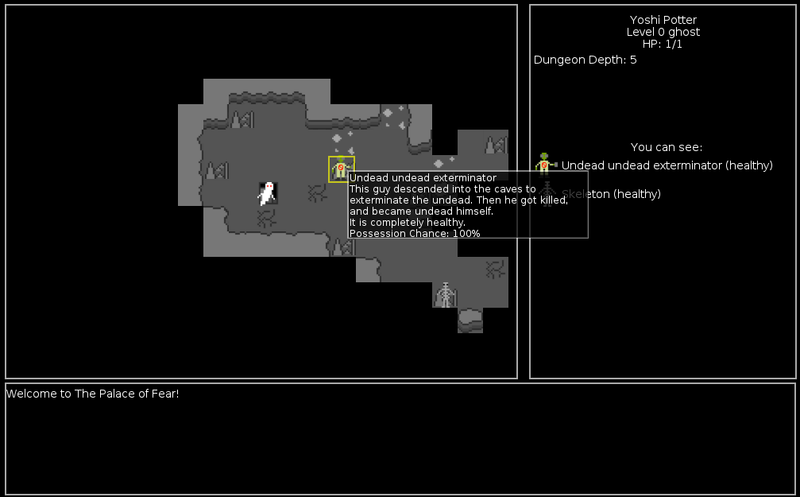 You are incredibly frail, but have one advantage: you can possess the bodies of the monsters you encounter. 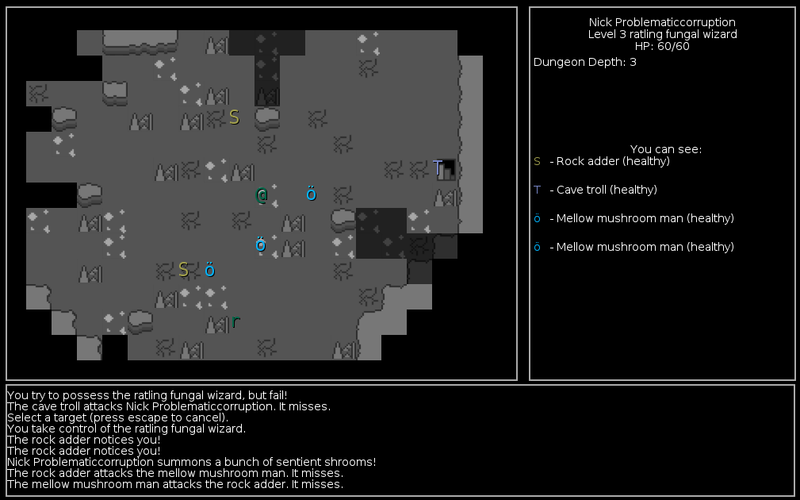 Separate graphical and ASCII modes for creatures and the environment. 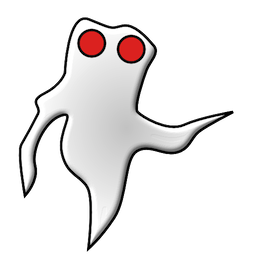 What version of the LÖVE interpreter are you using? 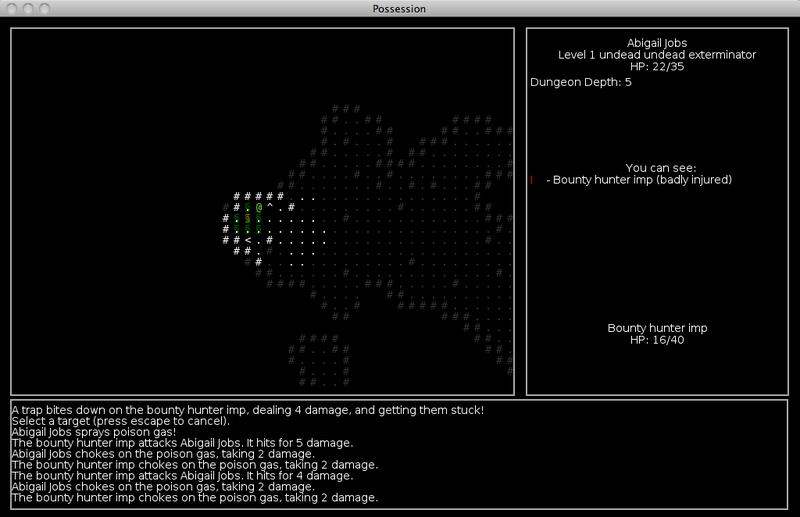 The original Possession doesn’t run on the newest version, you have to use version 0.8.